Various qualities like confidence, calmness and courageousness are the defining attributes of this sturdy breed. Rottweilers often exhibit aloofness that makes it little difficult to develop an immediate bond or meaningful friendship with them. The serious dog generally responds quietly and retains a calm posture to influence its environment. There is no denying that Rottweilers are robust workers and have received great strength from their Roman legions ancestors. Within a family circle, a Rottweiler is an excellent protector and playmate. Unlike other breeds, Rottweilers have enticing observation skills. That is why the breed had served in the military as the police dogs. 110 to 120 pounds is a healthy weight of an adult Rottweiler. Keeping the masculine features of Rottweilers in mind, you should feed them high-quality lean carbohydrates, healthy fats, and proteins. A Rottweiler puppy has a high energy level as it is more active than an adult one. You can add chicken with vegetables, beef and meaty bones in its diet. Giving fish oil to your Rottweiler puppy is also very beneficial for its growth. Moreover, you can feed an adult Rottweiler high quality commercial food with balanced nutrients. It should have enough animal proteins and grain sources. Using treats as an important training aid is a good idea but excessive quantity may cause obesity. Rottweiler has a medium-length coat that lies straight and flat. The thigh and neck have an undercoat covering. Although Rottweilers go through moderate shedding, their coarse coat requires regular brushing and combing. Autumn and spring are the usual shedding seasons. Regular bathing keeps a Rottweiler happy and fresh as it is a water lover. Weekly trimming with Dremel (a grinding tool) is very effective and makes nail trimming a breeze. Plus, weekly teeth cleaning is also an important part of its regular grooming. The muscular dog requires exercise and some space to stay active and alert. 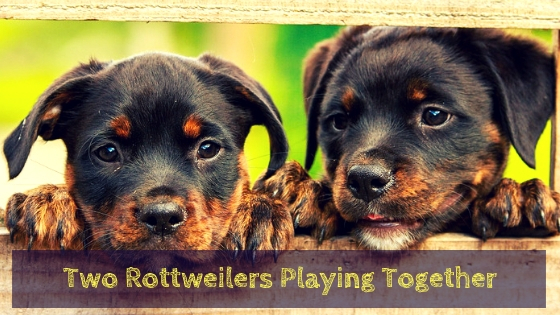 There are unlimited canine activities that Rottweiler can learn. 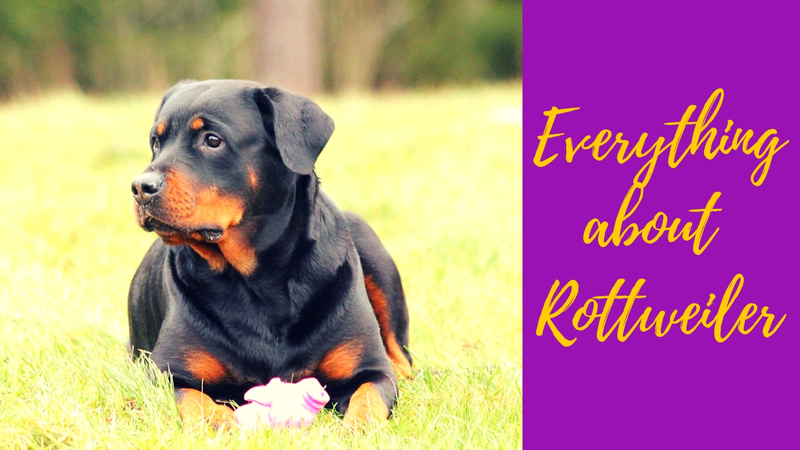 Exercises like brisk walks, regular running and stretching out plus some interactive romping activities work great for Rottweilers. Many canine experts recommend mental exercises for Rottweilers and consider them important for their healthy growth. It includes obedience classes (advanced level) and agility classes. If you have German Rottweilers, Schutzhund classes are ideal for your pet. You should not compromise when it comes to training Rottweilers. The dog can be hard to tame if they do not receive early training. In order to restrain its ferocity, you can begin with basic training sessions and early socialization. Besides that, Rottweilers require a warm, affectionate family environment to become a well-mannered adult. They do not like isolation and suffer from anxiety if left alone. The breed is trainable and highly intelligent so disciplining them is not difficult if you remain firm and consistent. Make sure you do not encourage their aggression. They can play important functional roles if they receive proper training. Rottweilers as Emotional Support Dogs? Because we are talking about such a strong canine breed, having a certifying your Rottweiler as an emotional support dog does have it’s drawbacks. It’s likely you’ll have trouble bringing your dog on an airplane. However, this breeds bond is formed with their owners in undeniable and can certainly classify as an emotional support. If you’re interested in learning more about making your pet become an emotional support dog you can visit this URL: https://therapypet.org/emotional-support-animal-information/. This breed has suffered from potential health problems before responsible breeding. Hip dysplasia-hip joint malformation was one of the common health conditions. It caused poor movement and other bone and joint issues in the dogs. Moreover, there are certain heart conditions and eye disorders that raised serious health concerns in Rottweilers. The breed can develop cancerous cells if it is not given proper vaccination. According to Dr. David Waters, Rottweilers must receive six years of vaccination to strengthen their immune system and protect them from harmful health conditions.